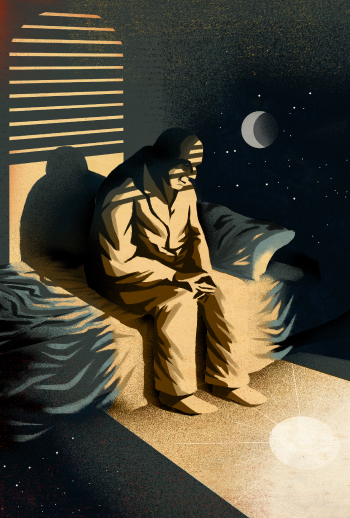 Left to languish in psychiatric institutions or drugged for disorders they never had, many older adults with autism were neglected or forgotten for decades. Efforts to help them are finally underway. Last year, Scott Hartman moved into his own apartment for the first time. He quickly learned to balance his budget, squirreling away money to buy a Blu-ray player or Xbox games. He started taking long walks to his favorite fast food joints: Hardee’s, Papa John’s, Chick-fil-A, Taco Bell. To get to the science museum or the library, his other favorite destinations, he is learning the intricacies of public transportation. Scott can enjoy these simple pleasures because two years ago he was finally diagnosed with autism. He was 55. For decades, Scott had struggled to find his place in the world. Misdiagnosed with schizoaffective disorder and manic depression (now called bipolar disorder), he spent much of his life in and out of group homes and psychiatric institutions, often heavily medicated: At one point, he was taking 18 pills a day. Scott’s mother, Leila Hartman, now 77, was never satisfied with Scott’s various diagnoses. A few years ago, a psychologist suggested that Scott might have autism, but Leila thought little of it until September 2013, when she found out that an autism diagnosis could help get him out of a group home for mentally ill men. That December, she drove him to an autism clinic at the University of North Carolina at Chapel Hill, where the diagnosis was confirmed. Now, with the right kind of help, Scott is living independently. Two aides visit twice a week to take him to the doctor or to the grocery store. One also takes him to the library, where he has rediscovered reading, eagerly devouring the plot of the latest Star Wars fan-fiction book. He is still figuring out what having autism means for him, but he has embraced the idea that many people with autism have above-average intelligence. Although Scott has endured many hardships in his life, he is fortunate in one way: He has finally learned that he has autism. Many adults who grew up before ‘autism’ was part of the public vernacular live their entire lives without ever getting an accurate diagnosis. “Autism just wasn’t something common or talked about when the children were little,” says Leila. There are no official estimates for autism in the U.S. in the 1960s, when Scott was young. But in the U.K., the prevalence has risen from 4 in 10,000 children in 1966 to 110 in 10,000 in 2011. The best evidence suggests that this is not a bona fide increase in autism’s prevalence, but rather a reflection of the fact that in the 1950s and 1960s, thousands of children who had autism were either completely missed or were saddled with the wrong label. The word ‘autism’ wasn’t included in the “Diagnostic and Statistical Manual of Mental Disorders,” the main reference book for psychiatry in the U.S., until 1980. It’s not uncommon now to hear about adults who recognize their own autism only when their child is diagnosed. These anecdotes are the “tip of the iceberg,” says Joseph Piven, professor of psychiatry at the University of North Carolina at Chapel Hill. Most people like Scott who have struggled with disability never have the chance to get married or have children — and often remain voiceless. So far, the few studies of older adults with autism suggest they suffer from myriad health conditions and lack appropriate support. In studying this lost generation, Piven’s team and a few others are uncovering hints about the nature of aging with autism — along with some harrowing stories. One reason older adults with autism are hard to find is that for decades, many of them were literally hidden, says David Mandell, associate professor of psychiatry and pediatrics at the University of Pennsylvania. Until the 1980s, it was common practice to institutionalize people with the disorder. Because few people have a concept of what autism might look like in adults, behaviors such as repetitive body movements are often mistaken for signs of obsessive-compulsive disorder or even psychosis. Mental health professionals lack the skills or experience to distinguish autism from disorders with which they are more familiar. In 2009, the newly formed Pennsylvania Bureau of Autism Services suggested that Mandell look for ‘missing’ adults with autism in institutions such as the Norristown State Hospital outside Philadelphia. Although Mandell was skeptical, he complied, using a stringent diagnostic process that would err on the side of excluding some people with autism. “We almost biased the process to not find autism,” he recalls. Behind closed doors:Norristown, a psychiatric institution outside of Philadelphia, was home to at least 14 misdiagnosed adults with autism. Mandell and his colleagues rummaged through storage rooms at Norristown, digging through floor-to-ceiling stacks of records for 141 residents, and asked the caretakers to fill out the Social Responsiveness Scale (SRS) — a screening questionnaire for autism that measures social impairment. For 61 of the residents, the researchers found a living parent or family member for the Autism Diagnostic Interview-Revised (ADI-R), one of the gold-standard tools for autism diagnosis. “Parents had exquisite and tortured memories of the child’s early experiences,” Mandell says. Mandell and his colleagues shared the findings with the staff at the institution, who began to wean residents off many of the inappropriate treatments. But much of the damage had already been done. 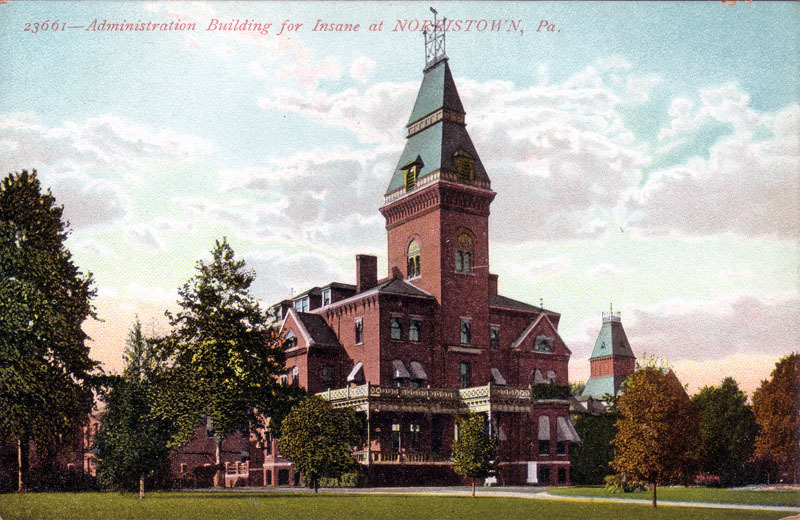 One man at Norristown with a diagnosis of schizophrenia was “B.P.,” who was 64 when Mandell met him. Although B.P. spoke as a child, no one in the institution had heard him say a word for decades. He was being given so many powerful and sedating medications — antipsychotics, anxiety drugs and mood stabilizers — that the list filled an entire paragraph in his medical records. When Mandell took a careful look at B.P.’s records, he found the real reason that the man had been institutionalized: B.P.’s first few medical records were written by none other than the psychiatrist Leo Kanner, widely regarded as the first scientist to recognize autism. According to the records, Kanner himself had diagnosed B.P. with autism in 1955, when B.P. was 10. Mandell interviewed B.P.’s 92-year-old mother, who told him she had done everything she could to keep her son out of an institution. But she did not have the support she needed to care for him at home, and B.P. was becoming violent toward his sister. In his notes, Kanner had insisted that B.P. belonged in an institution because his behavior could be embarrassing — and potentially dangerous — to his sister. A year after B.P.’s diagnosis, his mother admitted him to Norristown. As Mandell worked his way through B.P.’s massive stack of records, he noticed that at some point, B.P.’s autism diagnosis had disappeared. In response to Mandell’s re-diagnosis, the doctors at the institution lowered the dosage of many of B.P.’s medications. A few months later, B.P. was accidentally locked out of a common room. He turned to an orderly and, addressing him by name, said, “I am very angry.” It was the first thing he had said in decades. Mandell and his colleagues have since begun similar studies in community mental health centers, first screening with the SRS and subsequently performing diagnostic interviews. So far, the researchers have screened roughly 800 people without intellectual disability. Of the 60 people who were given in-person assessments, 4 have autism. Many more met the cutoff for autism, but weren’t able to visit the health center for a diagnosis. Restricting the screen to people without intellectual disability may also skew the numbers, says Mandell. He suspects that the people who need support the most might be the hardest to find. Piven has faced similar challenges in trying to locate ‘missing’ adults with autism. In 2010, he helped organize a working group in North Carolina to explore aging with autism. The group’s first step was to look for adults aged 50 or older with autism. At first, the search seemed easy. By scouring medical records, Piven found 20 adults with autism diagnoses. Strikingly, many were in their 80s and 90s. On further digging, Piven found that all of them had a diagnosis of fronto-temporal dementia that had preceded their autism diagnosis. This particular type of dementia can lead to social deficits that look like autism. It was clear, Piven says, that none of the individuals ever had autism at all. Relying on medical records was a bust. The team next sent out more than 14,000 emails through an autism society in North Carolina asking for people over age 50 to give them a call. “We didn’t get a single call,” Piven says, and few email responses. It wasn’t until the researchers began recruiting people from group homes and the University of North Carolina’s autism program that they were finally able to identify 19 men older than 50. Scott, whose mother drove him to Piven’s clinic on her own initiative, was one of them. Scott grew up on Long Beach Island in New Jersey, where he enjoyed water-skiing and clamming with his brother. Leila remembers that he had friends in high school, although Scott says making connections never came as easily to him as it did to others. In any case, by the end of high school, Scott was unhappy. “I just wanted to get away, get the heck out,” he says. He scored well on the SAT, the American standardized test for college entry, but only applied to the Florida Institute of Technology, which he had his heart set on attending. When he didn’t get in, he joined the Navy — a dark time that Scott prefers not to talk about. He says only that he was dismissed for medical reasons. “I was really pretty sick,” he recalls. In the years that followed, Scott worked part-time washing and polishing boats for a friend of his father. “It worked pretty darn good for a while,” he says. 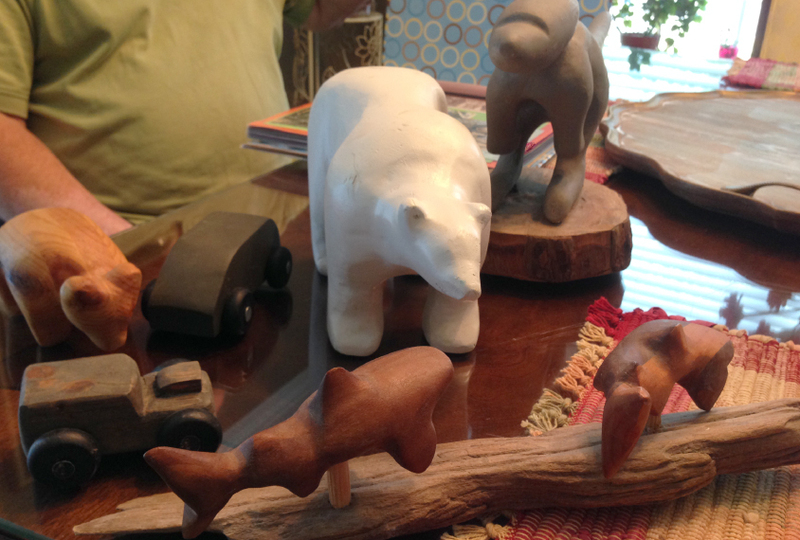 He took up woodworking, creating extraordinary pieces: two sharks leaping above waves made of driftwood; an elegant polar bear, its smooth edges carved to look like porcelain. Carved creatures:Scott Hartman is an accomplished wood-worker, even building his own work bench. But because he struggled with anxiety and depression, Scott was also taking powerful psychiatric drugs. He took both the antipsychotic Risperdal, now used to treat irritability and aggression in autism, and the mood stabilizer lithium, a potentially dangerous combination. Leila remembers that two of Scott’s doctors suggested that he stop taking at least one of the drugs, but that he would need to be hospitalized during the process. Leila drove Scott straight to his primary doctor, but the office was closed that day. Leila remembers that Scott seemed calm at that point — maybe, in retrospect, too calm. She drove him home, they had dinner, and Scott then disappeared into the garage. Later that evening, Leila smelled smoke coming from the garage. A fire had broken out. Scott does not talk about what happened that night or why it happened, referring to it only as the “fire situation in a garage.” But that night, he sustained third-degree burns on 38 percent of his body. During his months-long recovery, Scott’s entire body was wrapped up like a mummy. The doctors immobilized his hands by sewing them to boards to allow the skin grafts to heal. His hands curled into claws, leaving him with the use of only four fingers in total. He had to learn to walk again. The doctors then moved Scott to Ancora, a state-run psychiatric institution in New Jersey, where he stayed for 18 months. They continued to treat his burns and managed his medications properly for the first time, according to his mother. His burns healed quickly. When his mother moved to North Carolina, Scott worked hard to be a ‘model citizen,’ hoping to get permission to leave the institution and be closer to her. He eventually moved into a group home for men with mental illness not far from her new home. Over the following nine years, Scott lived in at least four different group homes, Leila says. In the last one, where he stayed for two years, he had little independence, although the overworked staff seemed to be trying their best. “It really was [like] putting a harness on him. He didn’t have the freedom that he needed to make him feel like a whole person,” says Leila. Desperate to help, Leila remembered the psychologist who had mentioned to her a year earlier that Scott might have autism. This was how Leila and Scott found themselves at Piven’s clinic. They were finally in the right place, but diagnosis was still a challenge. Piven remembers thinking that Scott clearly had autism, based on his in-person assessment — a structured one-on-one interview called the Autism Diagnostic Observation Schedule (ADOS). But in order to formally diagnose him, Piven would need to confirm that his symptoms had been present since childhood. To pinpoint the onset of autism, researchers typically perform the ADI-R, a diagnostic interview, with a parent. For many adults with undiagnosed autism, that can be a challenge. Many parents are no longer around. And those who are may have dim memories of the past, and may have taken little note of the signs of autism. Leila said that her son did not have any social problems or repetitive behaviorsas a child. To sort out this discrepancy, Piven’s team met with the two of them together. When the researchers pointed out Scott’s tendency to go on conversational tangents, Leila confirmed that Scott had been that way since he first learned to talk. “I think face-to-face assessment probably trumps history in cases [like this],” says Piven. Still, even the ADOS has its challenges: The test is written for children, asking questions about toys and make-believe. “These tests are not meant for a 65-year-old. You pull out the toys and have to say, ‘I know this is kind of silly, but just do it,’” says Piven. His team has tweaked the ADOS to make it more appropriate for adults, but he says the modifications still need a lot of work. “Until we figure these things out, we don’t have the tools in place” to diagnose older adults, he says. As difficult as it can be to diagnose adults with autism, it is only the first step in a long journey. For unknown reasons, adults with autism seem to be at a high risk of health complications and psychiatric problems. They are nearly three times as likely to have depression and nearly four times as likely to have anxiety as people without autism, according to a large study of medical records at Kaiser Permanente in Oakland, California. Another follow-up of 50 men who had all been diagnosed with autism 20 years ago found that all but three had had psychiatric disorders such as anxiety, depression or attention deficit hyperactivity disorder. When adults with autism seek help, it is often for these symptoms, says Mandell. “A lot of times, the anxiety and depression are more debilitating than the autism symptoms themselves,” he says. Piven’s research has also turned up an unexpectedly high incidence of Parkinson’s disease among adults with autism. In his study of 19 adults with autism older than 50, Piven found that 3 had Parkinson’s disease and 9 had symptoms such as tremors or rigidity. Piven’s collaborator,Sergio Starkstein, also noticed this trend at his clinic for adults with autism in Australia. He found that of 37 people with autism older than 40, 12 had a cluster of symptoms described as parkinsonism. After hearing these preliminary results at an autism meeting in 2014, Lisa Croen, who led the Kaiser Permanente study, checked records there and found that the adults with autism in her study were nearly 33 times more likely to have a diagnosis or symptoms of Parkinson’s disease than were the controls. Parkinson-like symptoms are a common side effect of the antipsychotics prescribed to many adults with autism. In his study, Starkstein found that certain people with autism are particularly sensitive to these drugs, developing problems such as tremors almost immediately and at doses normally too low to cause side effects. However, when Starkstein and Piven pooled their results, they found that even among the 20 people in the study not taking these medications, 4 had a diagnosis of Parkinson’s disease — much higher than would ordinarily be expected. This suggests that something inherent to autism makes these individuals prone to deterioration in motor function, says Piven. Adults with autism also seem to have elevated rates of preventable diseases such as diabetes and heart disease. Some of this may be biologically linked to having autism. But it may also be because these individuals don’t go to the doctor enough and may receive inferior care when they do, says Croen. According to preliminary results from a survey sent to nearly 1,000 healthcare providers in Northern California, more than two-thirds admit to feeling unprepared to treat adults with autism. Most healthcare professionals lack the training to help adults with autism and are intimidated by the prospect, says Kyle Jones, a family physician at the Neurobehavior HOME program at the University of Utah in Salt Lake City. “There is a lot of fear of adults with autism,” he says. “Once [doctors] see them on their schedules for the day, it’s very easy to get nervous and intimidated.” Jones and his colleagues plan to use telemedicine to connect general practitioners to doctors in his clinic who have experience working with adults who have autism or other developmental disabilities. In Scott’s case, life in a group home unquestionably damaged his health. Bored and unable to go on the long walks he now cherishes, Scott used to eagerly pile in with other residents into a white van for trips to the Food Lion, a local grocery store. There he would load up on “crappo,” as he calls it: donuts, cookies and ice cream that he’d eat alone in his room. Meanwhile, the overworked group home staff scheduled few medical visits. Scott developed type II diabetes, but it went unnoticed. And even though he was taking warfarin, a blood-thinning drug that can cause strokes and bleeds if it’s not closely monitored, no one checked the level of clotting factors in his blood for months. Now that he is on his own, Scott’s aide takes him regularly to the doctor and Scott conscientiously checks his own blood sugar levels. His self-discovered trick for lowering his blood sugar: large bowls of frozen vegetables that he microwaves and eats mixed with ranch dressing. “This might seem weird, but I’ve been considered weird before,” he says with a big smile. Gaining a diagnosis late in life can sometimes open the door to a new world of kinship and self-understanding. Anita Lesko was diagnosed with autism at 50 years old, and for her, it was a revelation. “It was as if the whole puzzle of my entire life, all the pieces, suddenly fell together and made a whole picture,” she says. Lesko, a nurse anesthesiologist, had been told she could be fired because the hospital staff said she was not a “team player:” She often ate lunch alone and objected to heavy-metal music in the operating room, which she found distracting. Lesko’s diagnosis allowed her to educate the staff about her quirks. Realizing that there must be others like her, she started a support group for adults with autism. There she met Abraham Nielsen, a 25-year-old man with autism, and formed a deep friendship: “We totally understand each other. We’re on the same wavelength,” she says. After a year and a half, they decided to take it further. Lesko doesn’t let anybody touch her, but Nielsen is somehow an exception. “We just can’t touch each other enough — hugging and romance and everything. No one else can come near me,” she says, laughing. 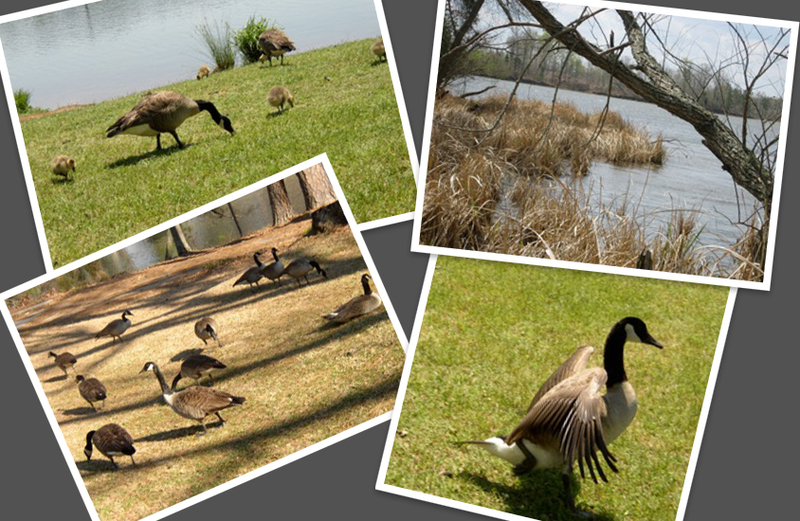 Through the lens:Scott’s scrapbooks are filled with photos of his favorite things. Lesko and Nielsen got married in September at an ‘all-autism’ wedding: all members of the wedding party and many of the 200 guests are on the spectrum. They held the open wedding at an autism conference because, Lesko says, people with autism never get invited to anything. It was the first wedding she herself had ever attended. Scott’s life, too, has changed dramatically since his diagnosis. Living with only one housemate has given him freedom and a sense of independence he had never experienced before. But he has yet to find a job and, without the structured social activities of the group home, he is sometimes lonely. He attends group activities with adults who have mental illness, but he is the only participant with autism. “You have to be able to interact, and communicate, and talk and rap and all that in order to fit in,” he observes. “If I can’t do that, I’m left out.” He chats with people he meets in his new apartment building but has yet to find someone — other than his roommate and his aides — who will join him on his excursions to Hardee’s or the science museum. When asked what he thinks a story about adults with autism should cover, he bursts with advice for others in his situation. Scott no longer makes carvings, but he has embraced photography and takes pictures with his Minolta on excursions around town. He has filled scrapbooks with photos of whatever catches his fancy, from rainbows and Canada geese to his lava lamp and the outside of Home Depot. Scott’s favorite photo hangs on Leila’s wall, and she is framing a copy for his own apartment. It’s a slightly blurry shot of a basset hound in the back of passing pickup truck. As the truck speeds past, the hound leans into the breeze, its long ears and jowls blown back by the force of the wind. It looks like a picture of joy.